The Alliance Group began preparatory works on its new exclusive project in Batumi – Alliance Privilege. 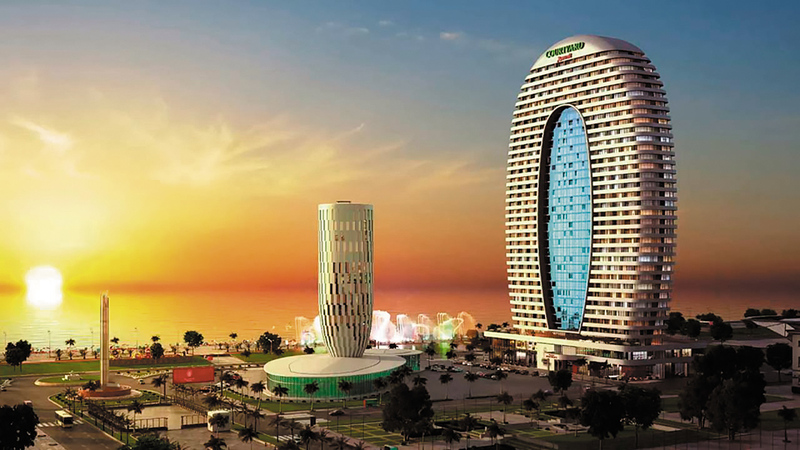 The complex will be located in the Batumi Boulevard, on the seaside. It will feature ultra-modern architecture, and will include the five-star Marriott Hotel, as well as exclusive apartments. The Alliance Group’s latest project is worth $80 million, and will include all types of infrastructure that are characteristic of an ultra-modern complex: underground and street-level parking, a swimming pool with sea water, a spa, a fitness centre, cafes, restaurants, the largest casino in the region, etc. Ecologically clean and energy-efficient materials will be used for construction. Construction of the exclusive project is due to be completed in 2020, while the 160-room Marriott Hotel is due to begin operating in 2021. It will be Marriott International’s second hotel in Batumi after the Alliance Palace, exclusively designed 41-storey multifunctional complex, incorporating the 150 rooms luxury hotel by Courtyard Marriott at 1-6 floors, and the rest 7-41 floors are dedicated to premium class apartments, which is due to begin operating in 2019. Alliance Privilege is the company’s fourth large-scale project in partnership with the world’s leading hotel brand Marriott International.